It is stunning to be in the presence of a living, growing thing that was already growing when Jesus—and Socrates—and Plato walked the earth. 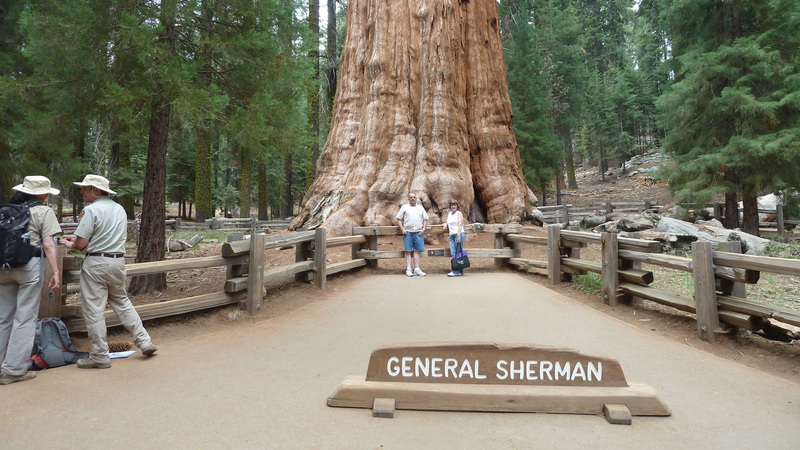 My husband and I, along with one brother, visited Sequoia National Forest in central California this summer and the giant Sequoia trees that thrive there. 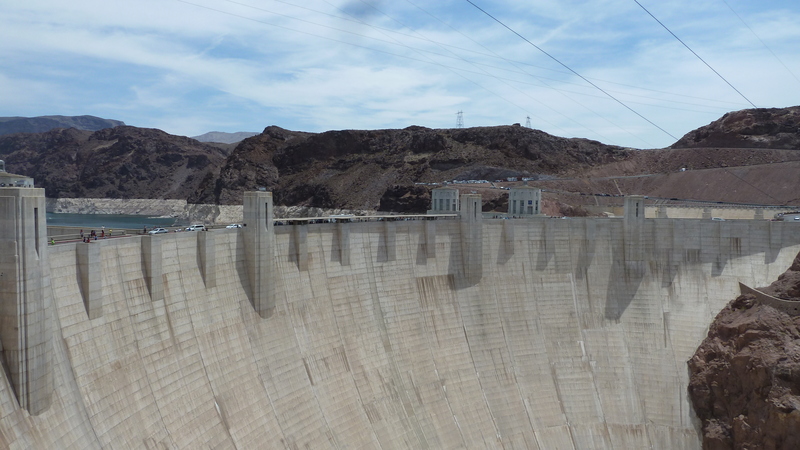 It was easily one of our favorite stops in the western states of Arizona, Nevada, Utah and California, covering brand new ground for both of them. 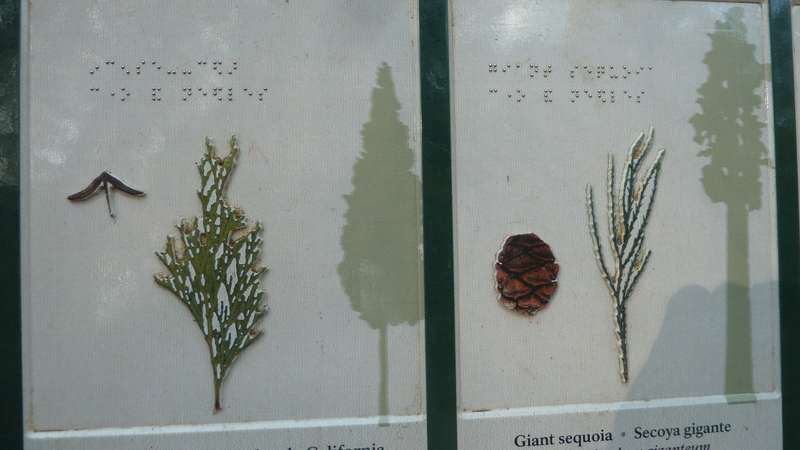 I had been to Sequoia as a child, but 49 years later, I appreciated it even more. The groves of ancient trees were just magical, mysterious, almost supernatural. (Think Lord of the Rings movie or book). 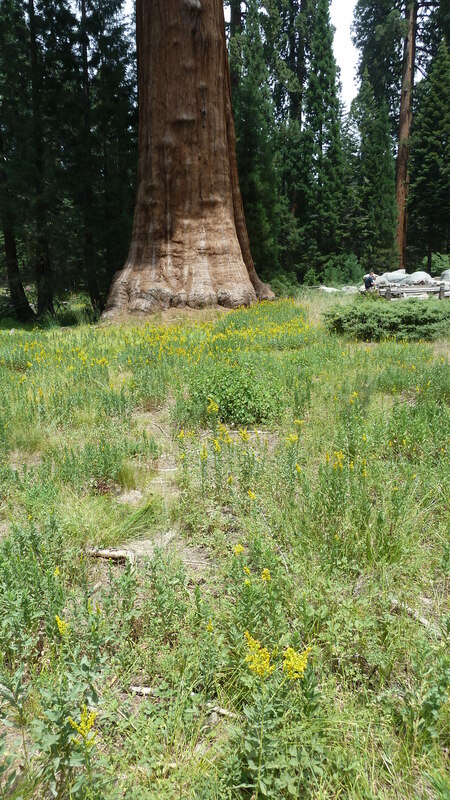 We stepped tenderly among the giants. 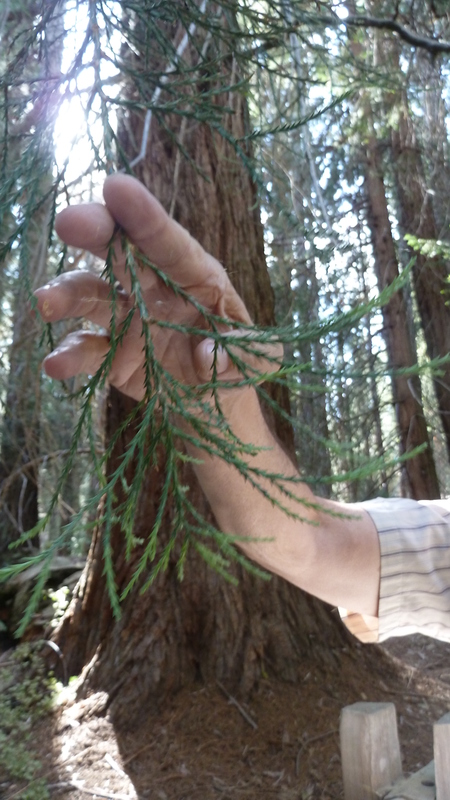 One of the things that scientists and ecologists have learned in the last 49 years is that a million tourists tramping nearby all day does not make a good forest floor for tree seedlings to sprout nor help the fragile roots of the giants. 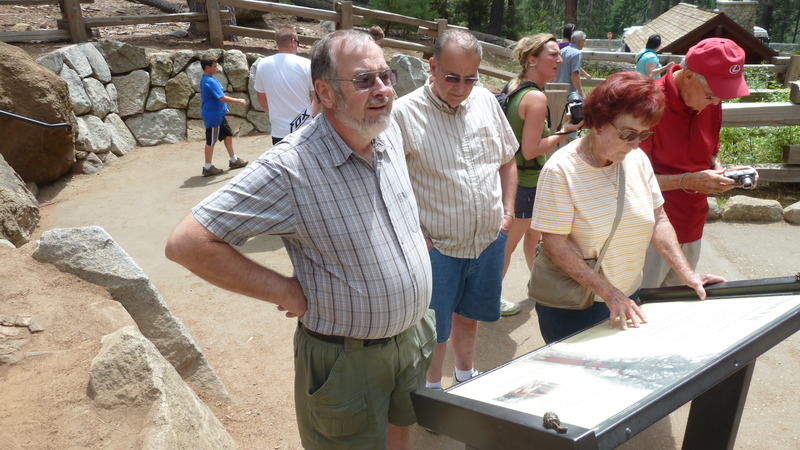 Signage and exhibits implored visitors to stay on trails. 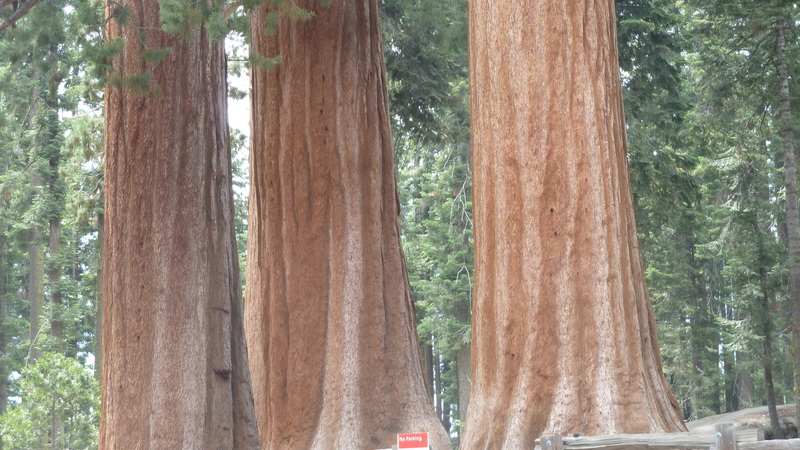 And since the giants are known to suddenly topple without warning, instead of chopping down 2000 to 3000-year-old trees that could have threatened campers while they slept, the National Park Service instead moved campgrounds. Like brilliant! Park Service asked people not to walk too near the trees. 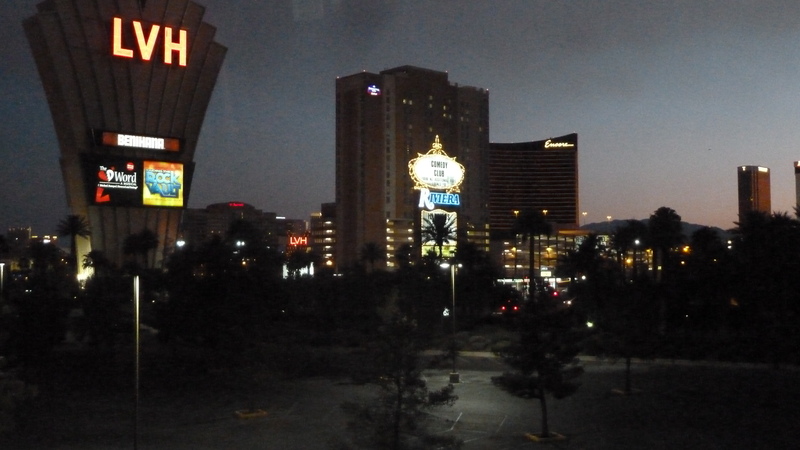 The woods were so peaceful and calming after desert dryness, the artificial neon of Vegas and the smoking hot concrete of Hoover Dam. 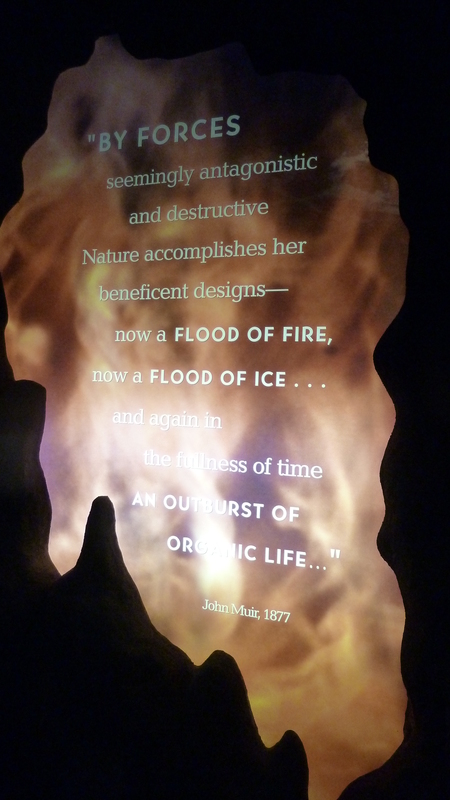 I enjoyed reading quotes at some of the exhibits from John Muir, the explorer and naturalist, filled with great wisdom. – Our National Parks (1901) chapter 10. I’ll write more later in Another Way or here about what else we learned about helping these giants thrive for our grandchildren and great grandchildren to enjoy, but for now, maybe a few photos can recreate a little of that peaceful calm of the filtered light of walking in the presence of living growing things that have been around since before the time of Christ. How do you find harmony on vacation? What places fill up your senses? They don’t have to be far from home. I’d love to hear about your favorite spots. Thanks for sharing – I’d love to see this for myself some time. 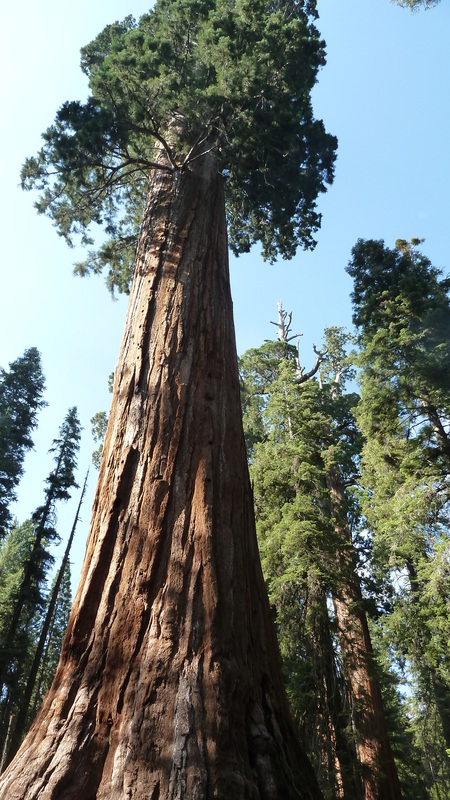 I have always enjoyed visiting sequoia forests! That being said, I will say having just one very messy 80 ft sequoia in one’s backyard is not great. The needles prick and stick to man and beast. Not to worry, the cost to cut it down would be enormous so it will probably still be standing right where it is hundreds of years from now. 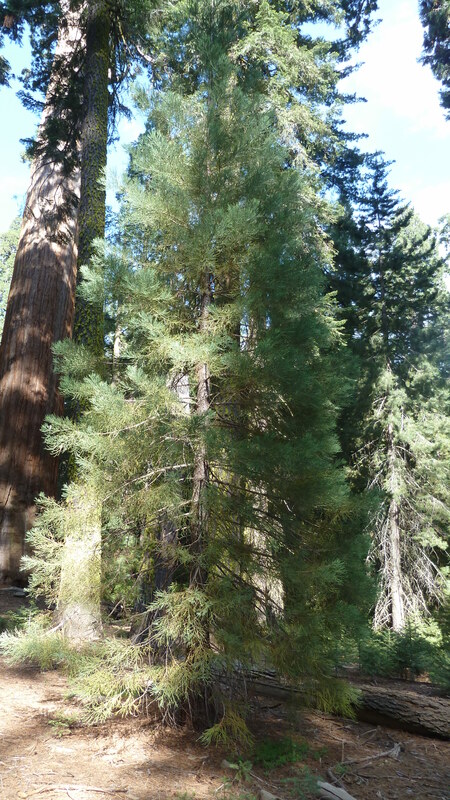 You have a sequoia in your back yard? Wow–did not know all this. Thanks for posting!